Whether you are looking for chic and eclectic boutique bedrooms, fine food to feast on at breakfast, great Yorkshire hospitality in relaxed surroundings or the North York Moors and coast from your doorstep, Eighteen97 bed and breakfast can offer it all. Proud winners of the Visit England Rose Award and Trip Advisor Travellers Choice Award and Certificate of Excellence Award. Highly Commended at 2018 White Rose Awards. Check the offers page for our latest promotions. See you soon, Fiona and Tim. 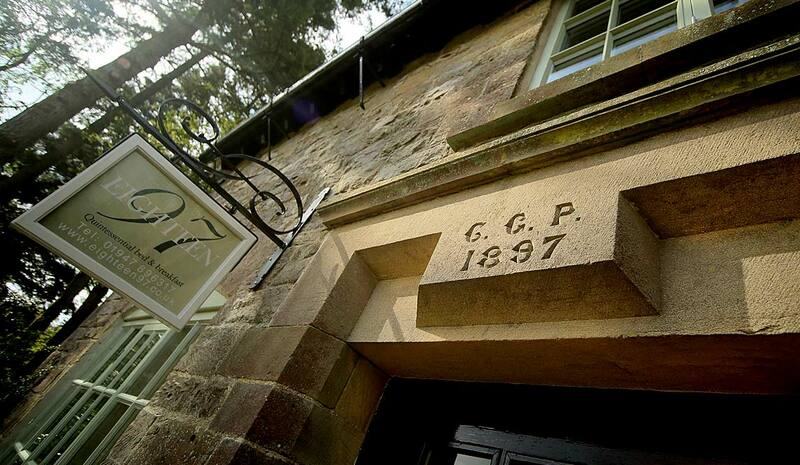 At Eighteen97 luxury bed and breakfast we want to make sure your stay in the North York Moors is truly memorable. Each of our bedrooms is individual and indulgent in its style, in keeping with the heritage of the property. All offer the same luxurious 5 star comfort and extra special touches usually found only in the best of boutique hotels. Quality days away, celebrating, or simply spoiling that special someone, a stay at our North Yorkshire boutique Bed and Breakfast, Eighteen97, will ensure you are relaxed, refreshed and revived and counting the days to your next visit. 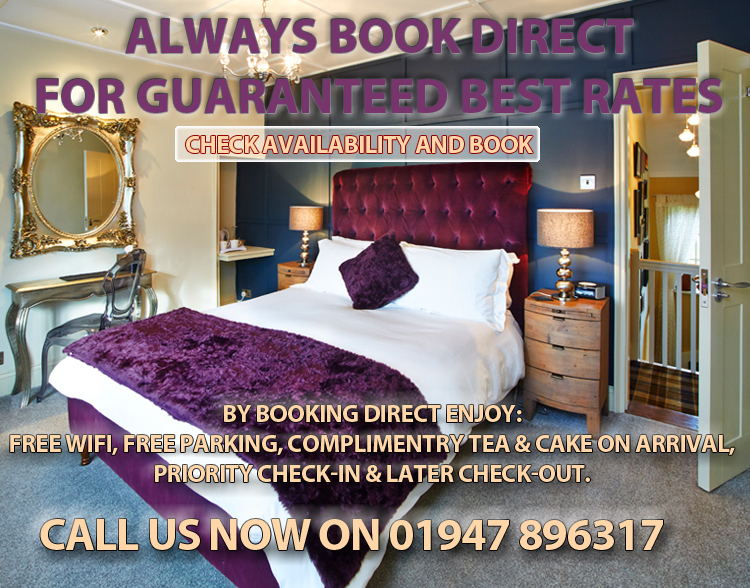 You will receive the friendliest of North Yorkshire welcomes at Eighteen97 5 star luxury boutique B&B in Goathland near Whitby . Relaxed and welcoming is always our aim when you arrive at Eighteen97 5 star boutique B&B. 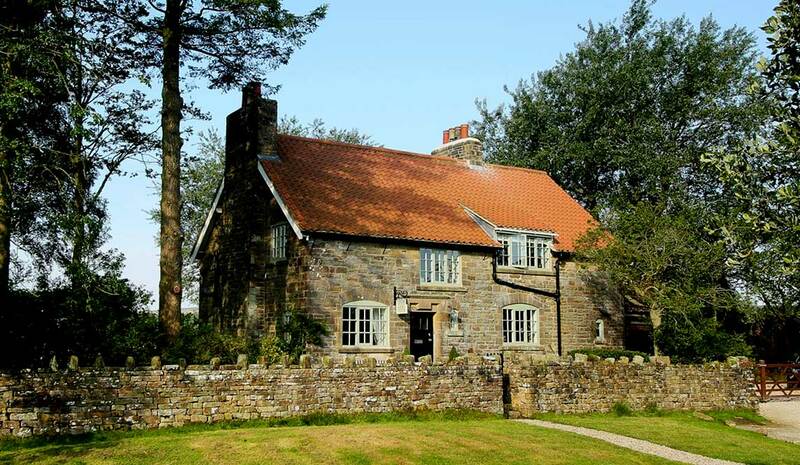 Whether you are enjoying the summer sun whilst soaking up the moorland views in our 1 acre garden or snuggling by the roaring fire with tea and homemade cake, Eighteen97 is your luxury home from home B&B. In your bedroom you will find your “oh so comfortable” kingsize bed with its fine linen, sink in and leave the world behind. Ensuites are smart and contemporary with towels by “royal appointment” and Temple Spa toiletries for that splash of indulgence. Or why not spoil that special someone even more in our master suite? Whichever you choose, all are decadent in décor and lavishly equipped. You will find TV / DVD, iPod docks, superfast wifi, Nespresso coffee makers and yummy homemade treats. Everything you would expect from your 5 star luxury boutique B&B. Our breakfasts are award winning and rather famous. Choose from a traditional Yorkshire breakfast or indulge in one of our breakfast specials. You will be amazed by the choice! 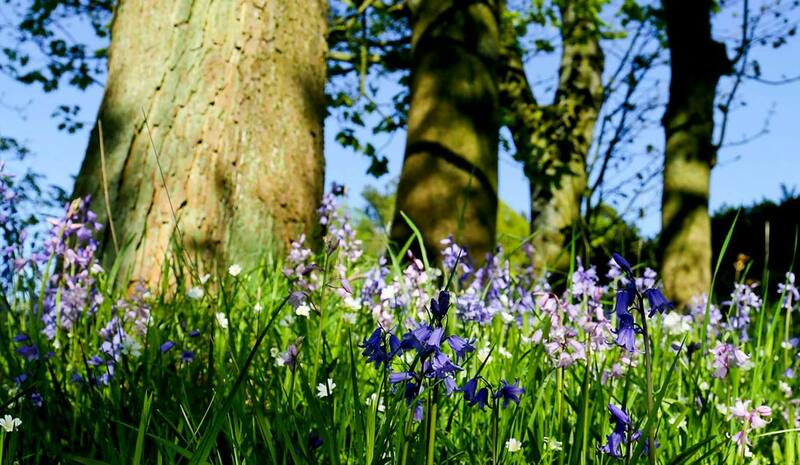 Whichever you choose it will set you up for your day exploring this wonderful area. And all are packed with the best our local North Yorkshire producers have to offer.